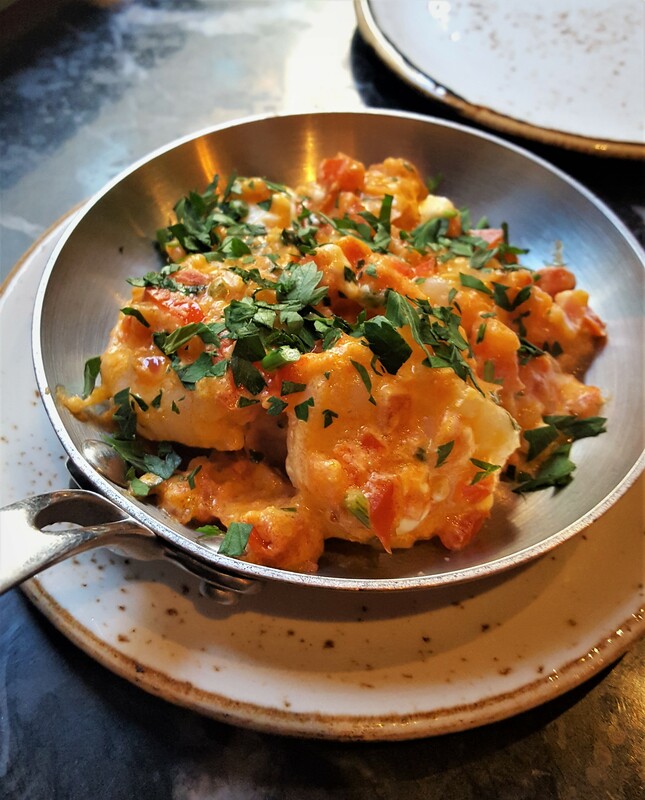 After cutting his teeth at the prestigious Bukhara and Dakshin in New Delhi and Chennai respectively (both Sheraton hotels) for several years, Indian chef Alfred Prasad moved to London. Within a year of joining the team at Mayfair’s Tamarind as a sous chef, he was promoted to the group’s Director of Cuisine, responsible for overseeing their four restaurants, including one in California. Aged just 29, he became the youngest Indian chef to be awarded a Michelin star, which he maintained for 12 years. In 2015, he decided to focus on his own projects and has since collaborated with charities, luxury hotels and festivals. His latest passion project is developing the menu at Greek restaurant Suvlaki, which is preparing to open its second site in Brick Lane in late July 2017. In your opinion, what are the biggest misconceptions about India? A very common misunderstanding is to think that India is one (homogeneous) country. It really is a great conglomerate of several distinct cultures bound by its borders. It is therefore also hard to generalise on almost anything about India. Food-wise, I dislike the misconception that Indian food is greasy and heavy. We’ve got to remember that India is where Ayurveda originated, so even historically, the healthy, medicinal and wellness aspects of food have been indoctrinated into our cuisines. Whilst some of the micro cuisines of North India, dealing with much cooler climes, have a richer diet, most others have a wide repertoire of healthy food. What did you prefer about living and working in India compared to London and for what reasons? And vice versa? Large kitchen spaces and staffing levels are the norm in India, but impossible to have in London. On the positive side, I enjoy the incredible access to any world ingredient and such a wide and continuously expanding array of produce to work with. Also, London has such an appetite for good food, which is great for the restaurant business. I think the biggest advantage is that London is more a world stage than just a city. I was gifted a leather knife bag made by a dear chef friend, Talia Prince, which has become my prized possession. It is custom-made for my knives and accessories, embossed with my name and detailed with brass rivets. Although it came to me at no cost, the value it has given me, especially in keeping my knives and kit safe during travels, has been immense. It is not only a work of art; it is brilliant at what it does. What went through your mind during your five-day, 250-mile charity cycle across Rajasthan for Action Against Hunger? When I first signed up for the challenge, I of course had a training regiment in my head that made it all seem practical and doable. With the crazy chef hours I had, of course that didn’t happen. Some parts of the journey were on very tough terrain. I fell over a pothole on the first day and had a bandaged knee and elbow from the get go, which made the cycling even harder. I have to say that it was the group and our camaraderie that saw each of us through. We were all so committed to our cause and all passionate supporters of Action Against Hunger and their work in remote, vulnerable communities across the world. I made some amazing friendships and memories from that experience. 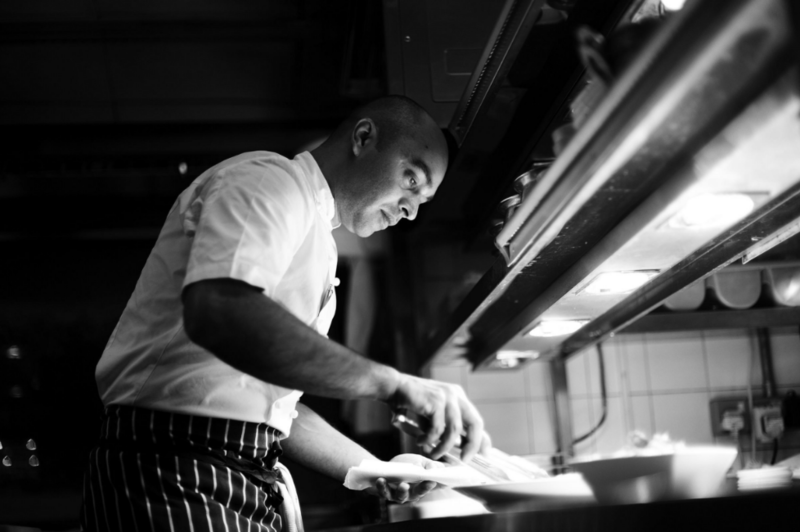 Chef Elias Mamalakis [with whom Alfred is collaborating at Suvlaki] started his hospitality career in his mid-40s. If you were to switch careers at this stage, what would you do and what about it appeals to you? If I had to switch careers, I would be an architect; I love the idea of space, dimensions, design and applying that creativity to practicality and ergonomics. How do you feel you have changed as a person over the past 5-10 years? A recent big change came both professionally and personally after I left Tamarind in 2014. I have travelled and cooked in so many different countries and kitchens that it has been a dream journey to embark on. I have learnt and unlearnt so much in the past three years. I think for every creative person, there should be periods of re-booting to gain fresh perspectives and change mindsets. You are a consultant chef at Suvlaki in Soho. What drew you to this particular Greek restaurant and how are you rejuvenating their current offering? During my first visit to Greece, I was impressed with the local cuisine and produce. I love the simple treatment of good produce that makes the flavours pure and stand out. I was excited to get an opportunity to work with Suvlaki and with Greek food. We have introduced several vegetarian and seafood small plates to balance the menu. We are fortunate to work with specialist suppliers who help us procure some of the finest Greek foods. The smoked eel and some wonderful artisanal cheeses are another great addition to the menu. Also, with our new site in Brick Lane, the bigger kitchen allows us to offer a more wide-ranging menu. How are you enjoying the partnership with Chef Elias at Suvlaki and which qualities of his do you admire the most? I have huge respect for Chef Elias and for what he has achieved. To switch to a career in food in his forties and get so immersed in it the way he has done is remarkable. He has also made Greek cooking popular in his country and is such an ambassador of his cuisine and culture. You previously participated in Sani Resort’s annual 10-day food festival in Halkidiki. How did you marry Indian flavours with Greek ingredients and did you face any challenges? I was invited by Sani Resorts to open the Sani Gourmet Festival and present my take on Indian food to their guests. I am not a big fan of fusion cooking and stay away from it unless it is for something fun like a jam session. For Sani, I just needed to know what kit was available and what seasonal produce was available at the time. Aside from Indian and Greek, are there any other cuisines which fascinate you to the same extent and why? I enjoy Japanese, Italian and Spanish cuisines. I respect the freshness, their techniques and the sensibilities in sourcing good, local produce. As an ambassador for FoodCycle, you advocate reducing and redirecting food wastage. How did you practise this at Tamarind? Since Tamarind is a well-established restaurant, with predictable business through the week, we knew how much to order and our supplies management was quite spot on. Food waste was not an issue we had to battle with. I am appalled at the amount of food waste in the UK, more so when we have hungry, homeless people, too. I talk about this as much as I can to spread awareness and consciousness about this issue. I do feel our pattern of domestic consumption needs to be managed better, which is in our control. The supermarkets definitely need to fix the waste they are generating, but awareness at the unit level is key. Having curated menus for various events, e.g. to accompany the screening of “The Hundred-Foot Journey”, hospitality at Lords, etc., which areas of interest would you like to focus on next? 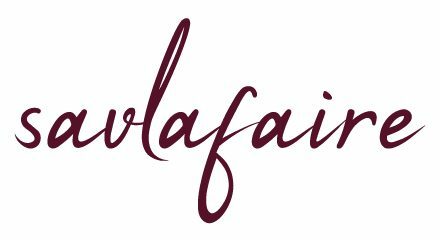 I am working on my flagship restaurant in London and while that would be a large focus, I would like to be able to release my first book, as well as continue showcasing my cuisine at festivals, events and promotions across the world. 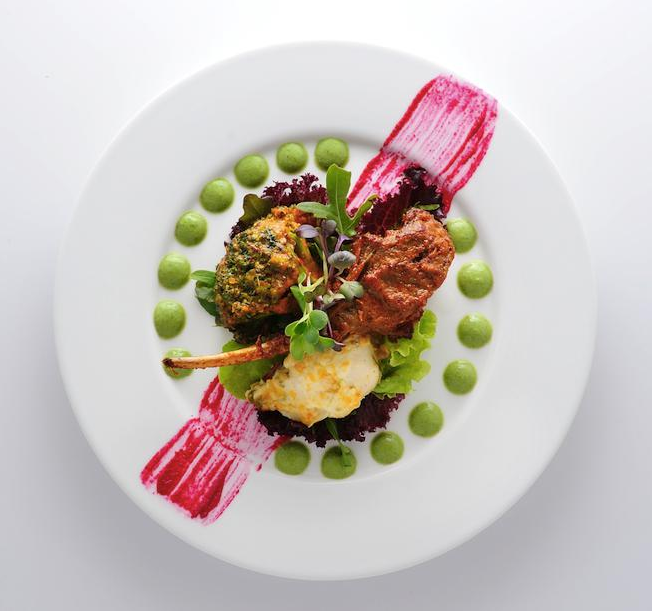 How do you feel that your personal style in the kitchen sets you apart from other respected Indian chefs in London? 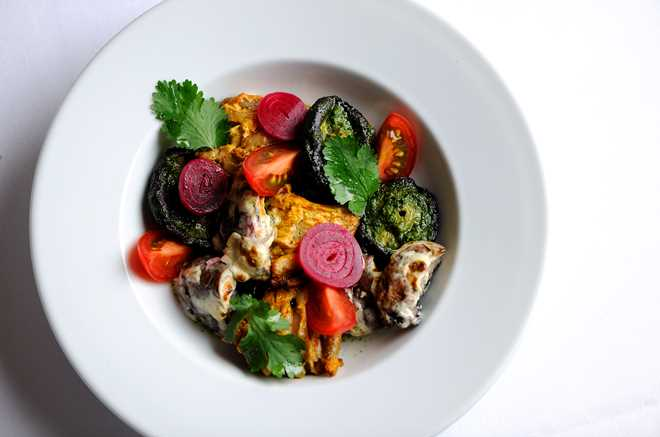 Indian chefs in London have collectively taken the sub-continent’s cuisine to greater heights and presented Indian gastronomy like never before. 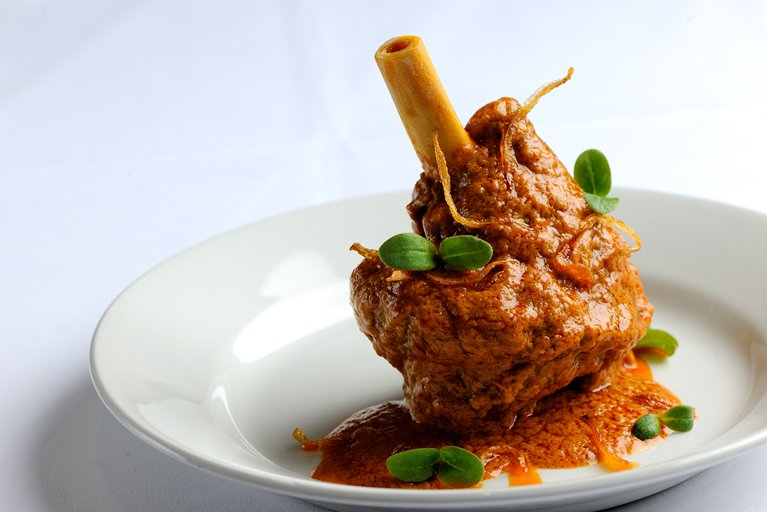 I like to believe we have helped re-invent Indian cuisines in India and around the world as well. 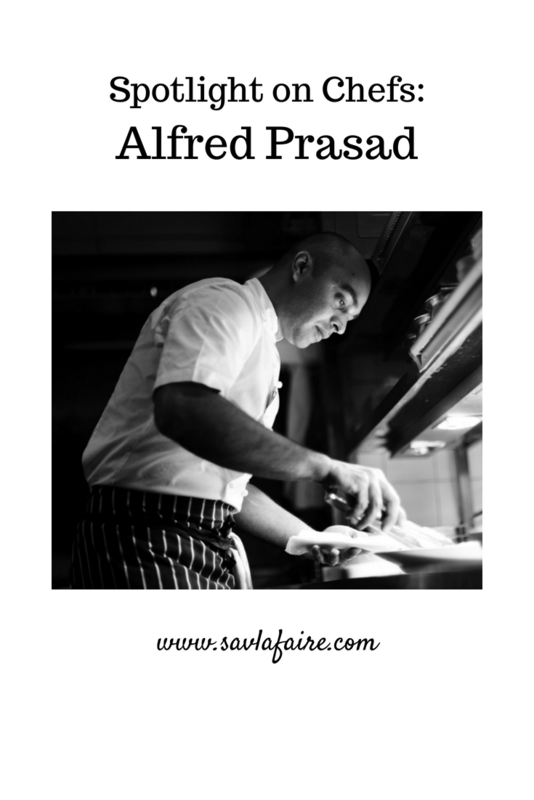 If you enjoyed reading this Alfred Prasad interview, you can check out more exclusive Spotlight on Chefs interviews here.